On this Saturday, June 4th, Mainland Regional High School will be holding its 18th annual After Prom party, "Around the World", which is an all night, alcohol-free and drug-free celebration following their Prom. The organization of this party has one goal in mind, to keep students and teenagers safe on Prom Night. It has, by all accounts, been a resounding success. Last year about 500 students attended and enjoyed an evening of carnival games, a hypnotist show, activities, entertainment, prizes and an all-night buffet. Over $10,000 was given away in cash and prizes! Here at Pumpkin Cars we take safe driving and road safety in general very seriously. We know the importance of keeping drunk drivers off of the roads and remind our friends and customers not to drink and drive whenever possible. This event at Mainland High School is even more relevant because it is helping to keep safe teenagers from our own community. Prom night is a very important and special night for all of these students and with the help of activities such as the After Prom Party we can reduce the chances that tragedy can overshadow the joy and celebration for these teens. That is why we felt it was important to once again contribute and donate two gift certificates good for a free car detailing and cash off towards the purchase of a car at Pumpkin Fine Cars. The Mainland After Prom Committee would appreciate any donations that can be made. If you would like to contribute please contact Ann Jungels at 609-641-5771 or [email protected] . In keeping with a safe Prom night theme we have a couple cars in stock that fit the bill. First is this awesome '05 Nissan Altima SL. If you want luxury in an affordable, safe and economical car, this is a bulls eye! With only 50k miles and priced at $12,995 it has leather interior, power and heated seats, Bose sound system, a moon roof and more. A great car for a grad to ride safely and in style!! 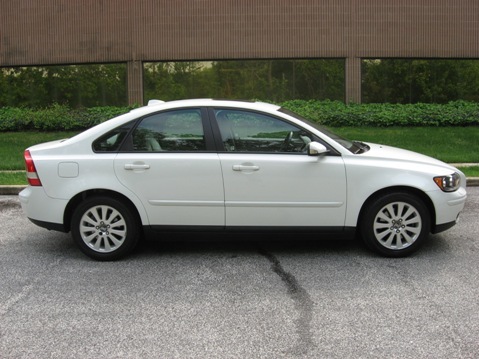 We also have this sporty and fun '05 Volvo S40 2.4i. When it comes to safety, Volvo, has built their reputation for decades as the safest cars on the road. 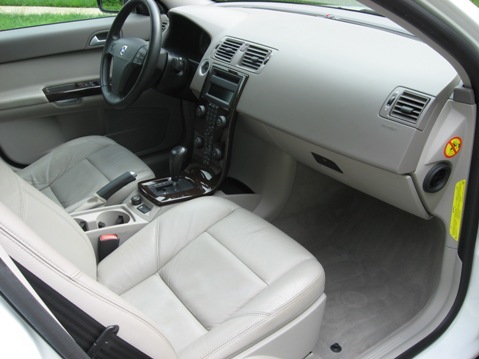 Safety is not the only feature on this sharp looking White on Gray leather interior sedan as it also has some great options like dual heated seats, a power driver's seat, power moon roof and alloy wheels. Perfect first car for a deserving student! In an effort to expand our inventory and give our customers an opportunity to have a wider selection of great pre-owned cars from which to choose, we have been carrying more Nissans than ever. 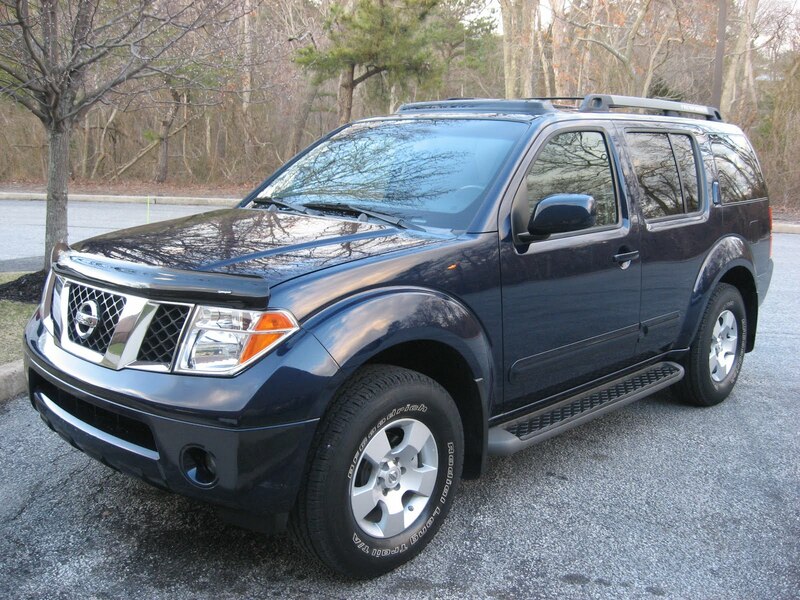 We are going to take a few moments to let you know what we have currently from Nissan. 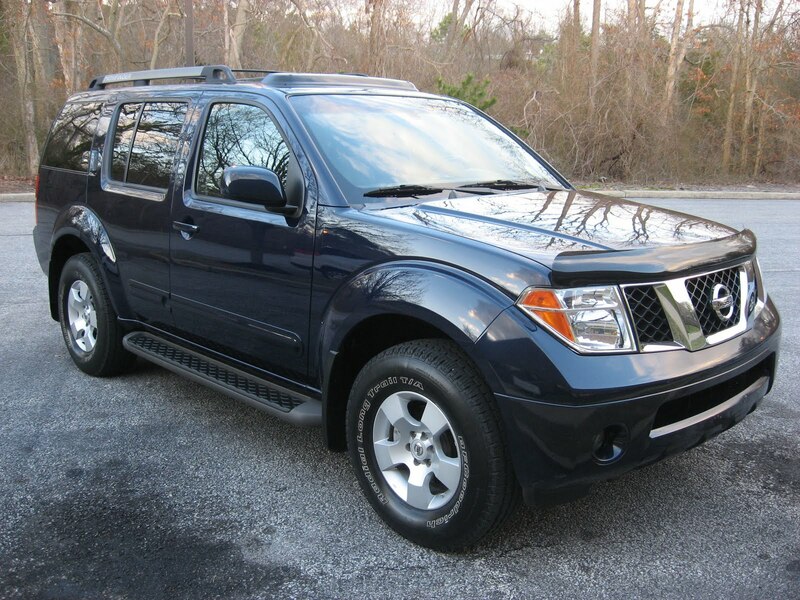 First up we have an awesome 2006 Nissan Pathfinder SE. As always it has a spotless Car Fax Report. 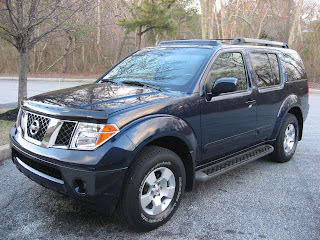 This truck is a very unique and beautiful Dark Blue with a Gray Cloth Interior and with only 51k miles is barely broken in. 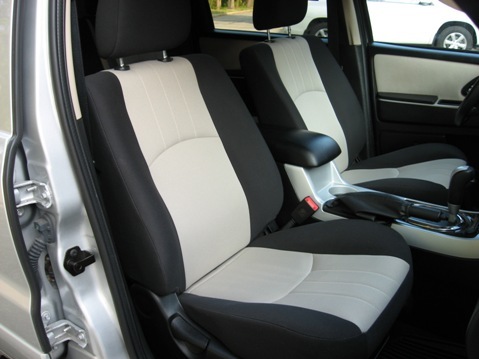 It has a true third row seat which allow you to comfortably fit seven passengers and presents like brand new! It is All Wheel Drive with a V6 engine and has some great features and options like a CD Player, Alloy Wheels, Driver's Side Power Seat, Running Boards, Roof Rack, Privacy Glass Windows and Much More. With the price just reduced by $1,000 this week, at $16,995 we are almost $4,000 below book value. If you are looking for the functionality of a great SUV but don't want a huge V8 engine, this is the truck for you. 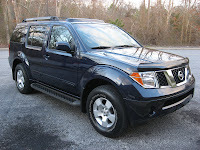 Click Here to view a video of our Pathfinder on YouTube! 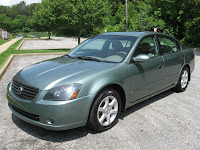 We also have a phenomenal 2005 Nissan Altima 2.5 SL sedan in stock right now. 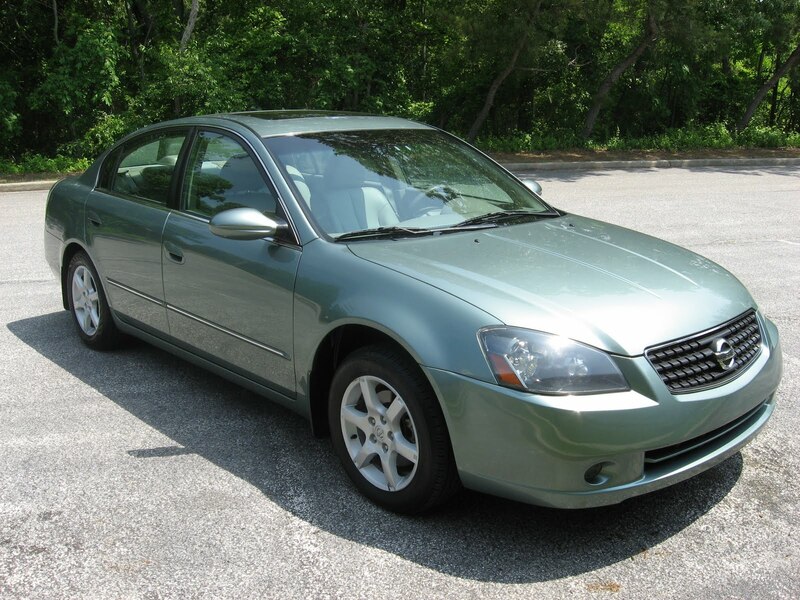 This is a Car Fax Certified One Owner Car and is a very cool Metallic Teal Green with a Gray Leather Interior. With only 50k miles, again barely driven by the previous owner, it has been kept in great condition. The SL trim gives you the best luxury options that Nissan has to offer including Power and Heated Seats, an In line 4 cylinder, 2.5 Liter Engine, Power Moon Roof, Bose Premium Sound System w/ CD Player and Alloy Wheels and Much More. Priced at just $12,995, this is a value that is impossible to pass up. 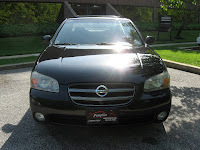 Click Here to view a video of our Altima on YouTube!! Rounding out the Nissan lineup now at Pumpkin Cars is this sleek and powerful 2003 Nissan Maxima GXE. 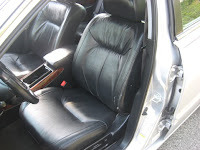 A Car Fax Certified One Owner Car and a color combo of Black on Charcoal Cloth interior, it is in high demand. With 78k miles and priced just right at $10,495 this baby is ready to hit the road! With a strong V6 3.5L engine this Maxima also has some great features and options like Premium Alloy Wheels, CD Player, Power Moon Roof, Driver's Side Power Seat, Cruise & Tilt along with Power Windows, Locks & Mirrors. The Maxima is Nissan's flagship model and you can pick one up today at Pumpkin Cars for less than a new Kia! Click Here to view a video of our Maxima on YouTube!! 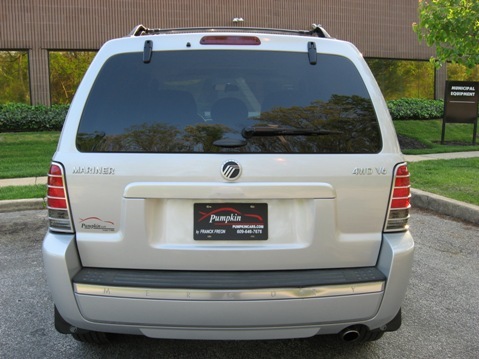 Right now at Pumpkin Fine Cars, we have two 2008 models that are sure to knock your socks off! 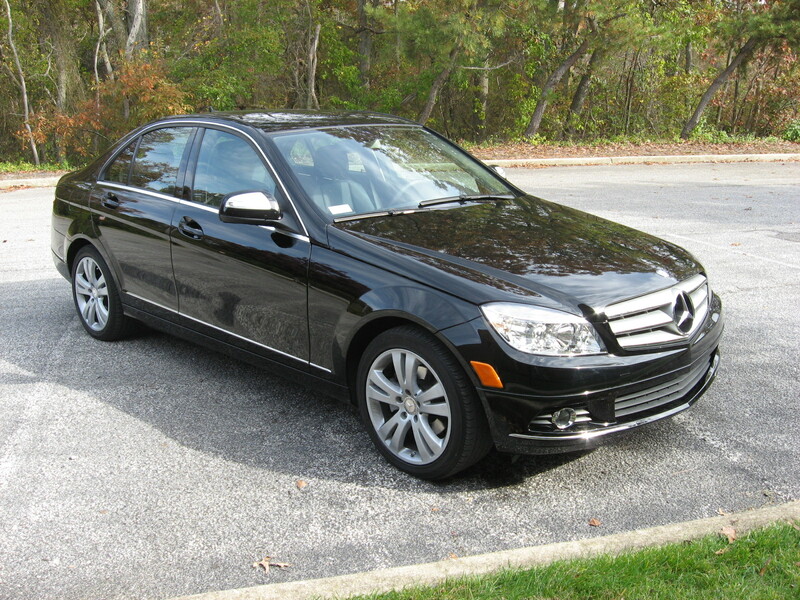 Both are sporty, fun, luxurious and German made...We have this sleek, dignified 2008 Black on Black Leather Mercedes Benz C300 4Matic and this powerful, responsive 2008 Graphite on Gray Leather BMW 328xi. Our Mercedes Benz C300 is at a tremendous value right now priced at $25,995 with only 35k miles and is under Mercedes Benz Full Factory Warranty until April of 2012. It has a spotless Car Fax Report as well. With great options, such as Power and HEATED SEATS, Power Rear Sunshade, Alloy Wheels, Auto-Dim rear view mirrors and more. 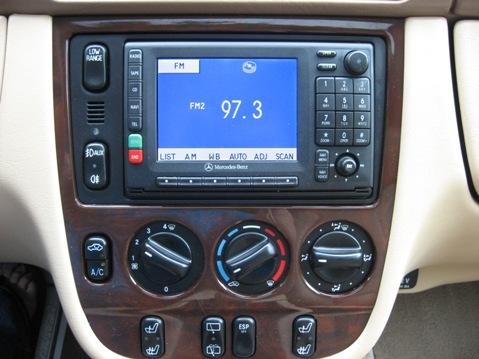 Don't be fooled by paying thousands more for easy to install after market features such as Navigation that often can be bought and installed for under $500! This Benz is equipped with the award winning Mercedes Benz 4Matic all wheel drive, which comes very much in handy when driving in poor weather conditions. Swing by the showroom today to check out this black beauty. Our BMW 328xi is just as powerful as it is stylish. Also priced well below book value at $22,995 this sports sedan has 44k miles and is under full BMW Factory Warranty and Service until November of 2011. This is a Car Fax Certified One Owner Car and has plenty of great features and options. The Premium Package includes Power and HEATED SEATS with Memory Positions and Lumbar Adjustment, Alloy Wheels, Power Mirrors, MP3/CD Player, Keyless Push Button Start, Xenon Headlights and more! 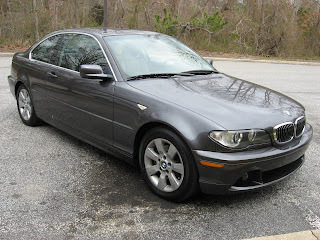 Equipped with the BMW X drive, this Beamer is All Wheel Drive all the time. Do not wait, come by for a test drive before someone snatches it up!! MOST INEXPENSIVE & SAFEST VEHICLE AVAILABLE TODAY! 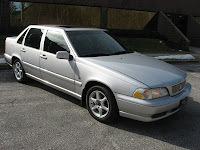 ** 2000 Volvo S70, 4-Door Sedan ** ONE-OWNER CARFAX CERTIFIED ** Volvo cars have been the LEADER IN AUTOMOBILE SAFETY for the past 40 years! Comfortable & Spacious with FULL POWER OPTIONS including a Power Moon Roof, Power Mirrors and Alloy Wheels. 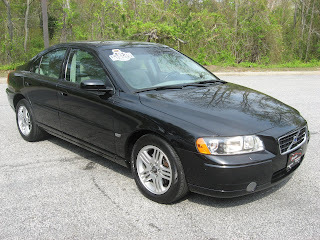 ONLY DRIVEN 8k MILES A Year On Average, this 5-Cyl, 2.4 Liter FWD S70 with an Automatic transmission could be a terrific first car for a new driver or a nice family vehicle at a GREAT VALUE. 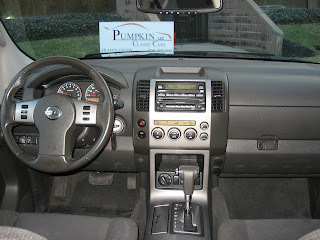 All of our vehicles have been FULLY SERVICED & PUMPKIN CERTIFIED! 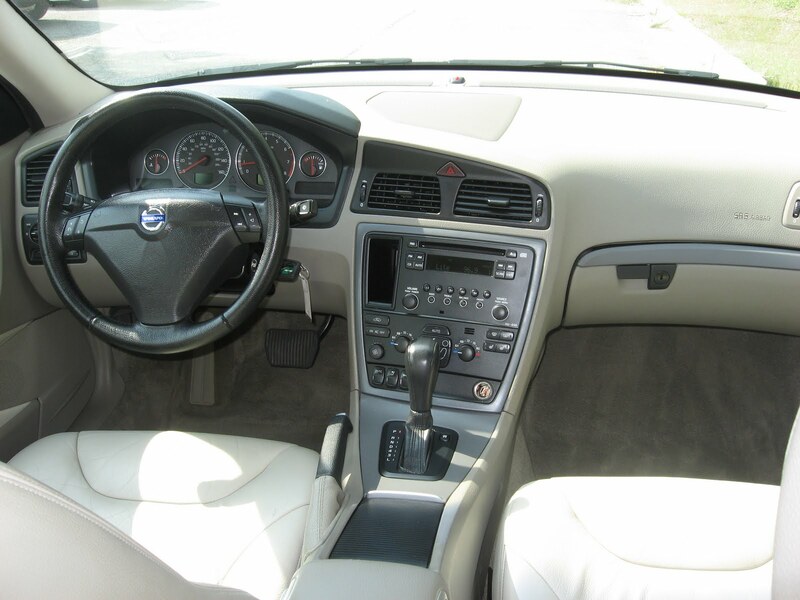 This pre-owned Volvo has a NICE SILVER on GRAY LEATHER COLOR COMBO and is in IMPECCABLE CONDITION. A CLEAN & PERFECT CARFAX Title History and a Powertrain Warranty with just over 86k miles..... you could OWN THIS VOLVO TODAY FOR ONLY $6,995! Visit us and test drive this pristine car today. CONTACT US at (609) 646-7676 or email us at [email protected]. 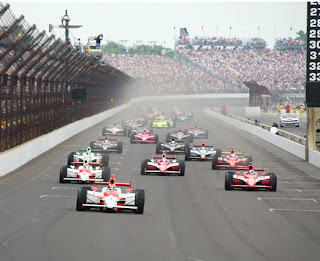 For more information, log onto our website at http://www.pumpkincars.com/. To view a video of this volvo, click here. Today exclusively at Pumpkin Fine Cars, we present this beyond pristine 2005 BMW 325ci. Sporty, responsive, fun, safe, reliable...you cannot find enough adjectives to properly describe this car. You have to come over to our showroom to see it and drive it to get a proper description of this incredible work of engineering. BMW is renowned the world over for it's attention to detail in terms of the performance of the cars they produce, and it shows in this 325ci. All of the components work together in perfect harmony. It's a two door coupe with the iconic BMW in-line 6 cylinder, 2.5 liter engine and has a Spotless Car Fax Report. 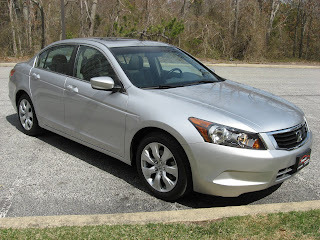 It has a very sleek and dignified Graphite exterior and Black leather interior. With some really awesome options such as Xenon Headlights, Power and Heated Seats with Memory Positions, Alloy Wheels, Sport Steering Wheel, CD player and iPod Adaption/Charger you will be set as far a luxury goes! This car is truly a staff favorite and a pleasure to drive. It was chosen by Franck Freon to become a Pumpkin Car because it is of the highest quality both mechanically and cosmetically and it is extremely impressive. 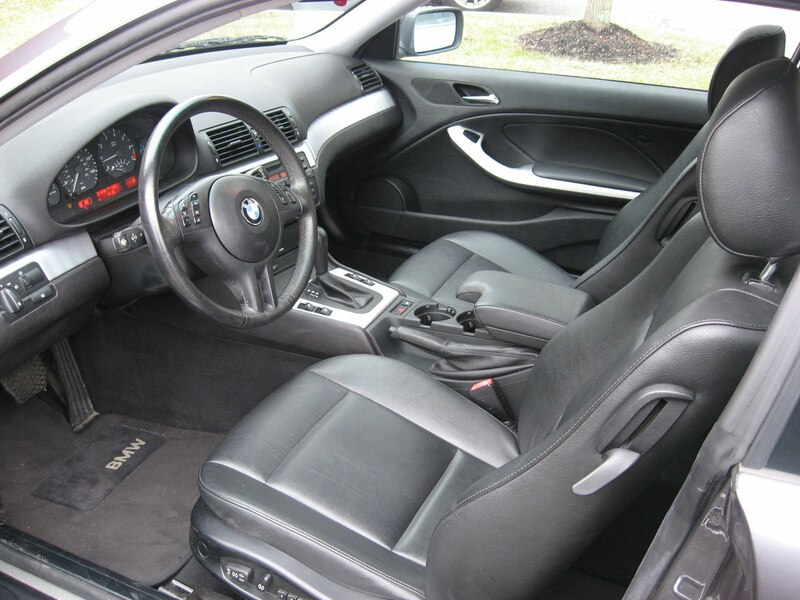 As with all of the cars in our pristine inventory, this 3 series coupe will make an excellent car for anyone that wants luxury and top of the line performance without spending your life savings. With only 64k miles and priced very aggressively at $16,995 this car is once again a tremendous value that can only be found here at Pumpkin Fine Cars. Swing by our unique indoor showroom today because this car will not be here for too much longer. Our friendly and professional staff will be happy to assist in checking out the car and making sure it is indeed the car of your dreams! Pumpkin Fine Cars has just received a SPORTY, GREAT LOOKING 2005 Volvo S40 2.4i, 4-Door Sedan. This SPOTLESS WHITE S40 comes with Gray Leather Interior and a Dark Cherry Wood trimming. 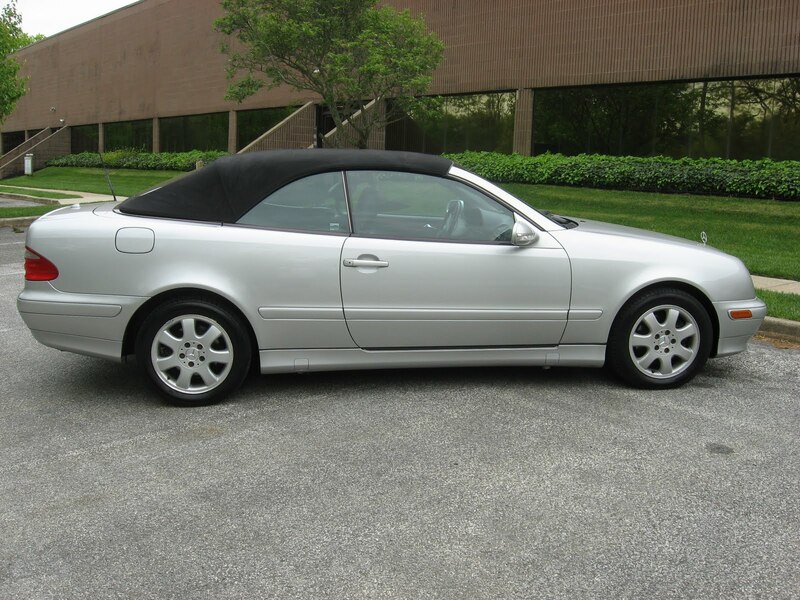 VERY SAFE, ECONOMICAL 5-CYLINDER thats LIGHT ON GAS & FUEL EFFICIENT. Lots of GREAT OPTIONS including DUAL HEATED SEATS, Power Moon Roof, Power Driver's Seat, Alloy Wheels, AM/FM Stereo with CD Player and more! Comes with a CLEAN & PERFECT CARFAX History Report. Powered by a 2.4 Liter Engine with Automatic Transmission & FWD and has 58,442 original miles since new! This vehicle is BETTER THAN NEW! Fully Serviced, PUMPKIN CERTIFIED and backed by our Powertrain Warranty. PRICED TO SELL AT ONLY $13,995!!! This vehicle is the MOST COMFORTABLE Vehicle for both Driver & Passenger! Visit us and test drive this pristine car today. CONTACT US at (609) 646-7676 or email us at [email protected]. 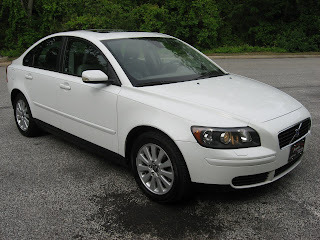 To view additional photos of this preowned S40, or to check out other pre-owned vehicles currently in-stock, log onto our website at http://www.pumpkincars.com/. If you have never been to our INDOOR SHOWROOM, you can find detailed driving directions on our site as well as Testimonials from other loyal Pumpkin Car Owners. 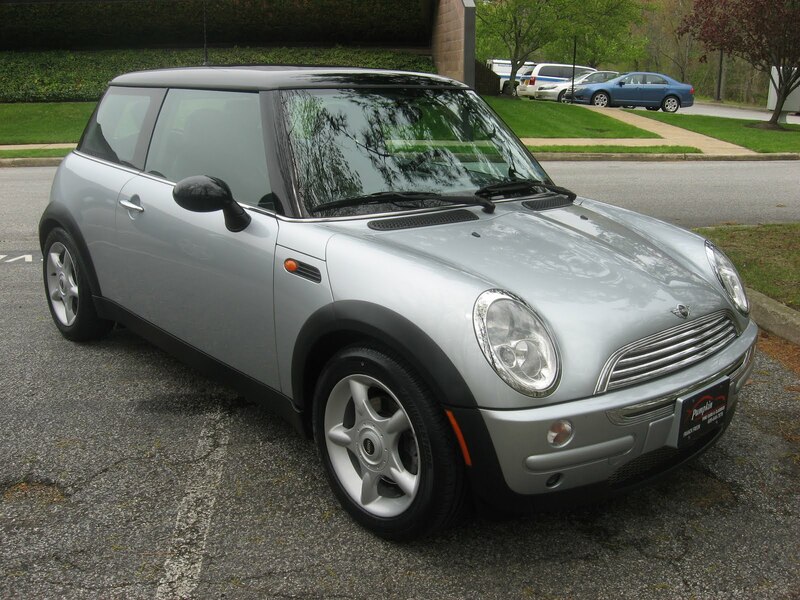 Today only at Pumpkin Fine Cars we present this fun and sporty 2004 Mini Cooper. If any of you have owned or even driven a Mini, you know that these little guys are great! This '04 Mini Cooper has a very sharp Silver Metallic body with a very luxurious Gray leather interior. This is without a doubt the coolest little car in our inventory. It is a Car Fax Certified One Owner car, was well cared for and serviced regularly at Mini of the Main Line by the previous owner. Fun and unique are terms most closely associated with Mini Cooper, but it's performance is top notch as well. Mini is owned by BMW, the automaker that has built it's brand reputation on luxury and performance for a very long time. 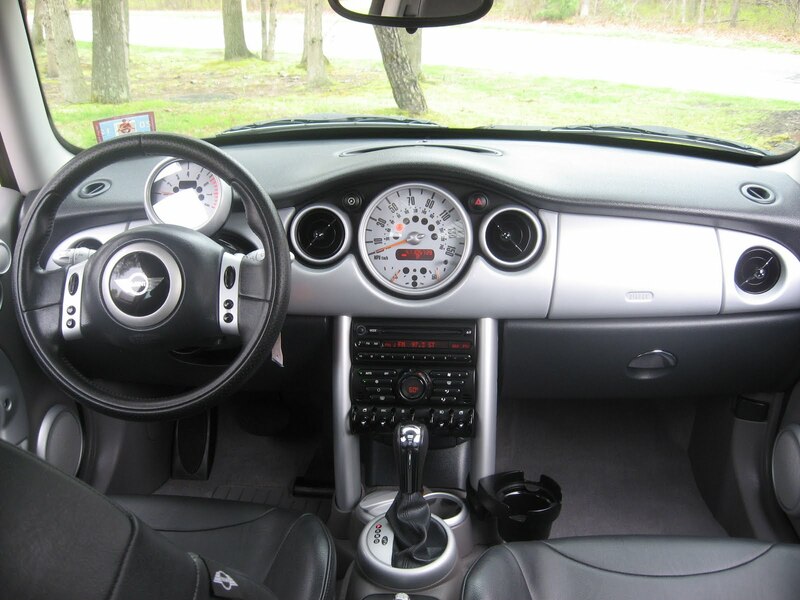 This '04 Mini Cooper is very well equipped with the Sport Package and Premium Package. It has a Panoramic Moon Roof, 16 inch Alloy Sport Wheels with High Performance Run Flat Tires, a CD player, Leather Steering Wheel and Split Fold Down Rear Seats. With it's 4cyl, 1.6 Liter engine you will be able to drive forever on a tank of gas with this little guy averaging about 32 miles per gallon. You will not, however, sacrifice any power or zip because with a very light body this Mini will go if you need it to! Priced at the tremendous value of $9,995 this car was sold for north of $30k brand new and can be yours now for a fraction of the original price. Perfect for young drivers, retirees or anyone that likes to drive an inexpensive car in great condition that is always sure to make heads turn and going to be loads of fun! Swing by our unique indoor showroom on Fire Rd. to check this baby out and take it out for a spin! 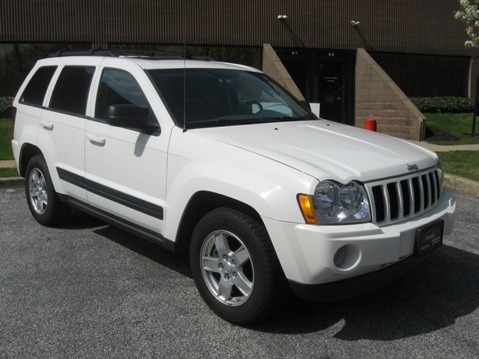 Check out this WELL EQUIPPED, RELIABLE & AFFORDABLE 2006 Jeep Grand Cherokee Laredo Sport, 4-Door SUV. 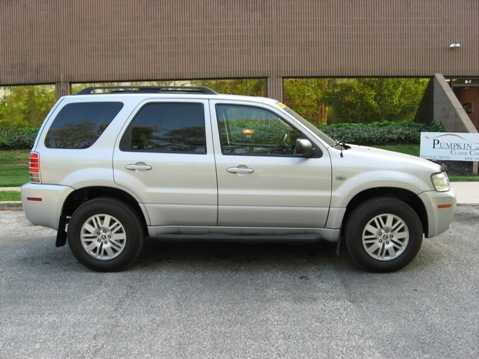 Equipped with a 4X4, V6 3.7L Engine and Automatic Transmission, with LOW MILES at just over 66k. This LIKE NEW, pre-owned Cherokee has a VERY CLEAN & SPOTLESS Original WHITE EXTERIOR on Gray LEATHER INTERIOR, POWER ADJUSTING PEDALS, Dual Power & HEATED SEATS, Power MOON ROOF, Full Power Options, Alloy Wheels and more! This Bad Boy has a PERFECT CARFAX Title History, has been FULLY SERVICED and PUMPKIN CERTIFIED. Locally Owned and NJ STATE INSPECTED, this vehicle has been WELL CARED FOR! 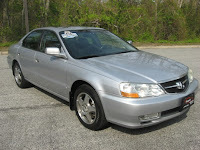 PRICED TO SELL, AT WAY BELOW BOOK, FOR ONLY $13,995 Stop by anytime for a NO-HASSLE, TEST DRIVE! CALL AHEAD and well make sure its pulled out and ready for your arrival! CONTACT US at (609) 646-7676 or send us an email at [email protected]. To view additional information and photos on this Jeep Cherokee or other pre-owned vehicles currently in-stock, log onto our website at http://www.pumpkincars.com/. If you have never been here before you can find detailed driving directions on our site, as well as TESTIMONIALS from Loyal Pumpkin Car Owners! Don't waste time at other dealers because at Pumpkin Cars you're sure to get the CLEANEST, MOST RELIABLE, BEST SERVICED, BEST PRICED, pre-owned vehicle in the area! 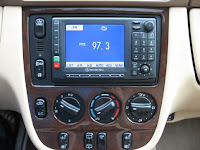 Pumpkin Fine Cars has lots of pristine, PRE-OWNED VEHICLES AT AFFORDABLE PRICES. 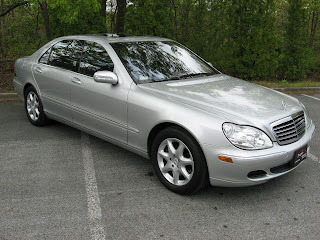 A great example of that is our 1998 Mercedes Benz E320 and our 1998 Lexus ES300. Both vehicles are GREAT LOOKING Luxury vehicles that are known for their SUPERIOR PERFORMANCE & CRAFTSMANSHIP. Priced at INCREDIBLE PRICES, a fraction of their original MSRP, owning a Luxury vehicle has never been easier! 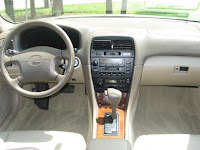 Our '98 Mercedes Benz E320 has a BEAUTIFUL COLOR Combination with Champagne on Tan Leather Interior. LOWER THAN AVERAGE MILES, clocking in with just over 91k. 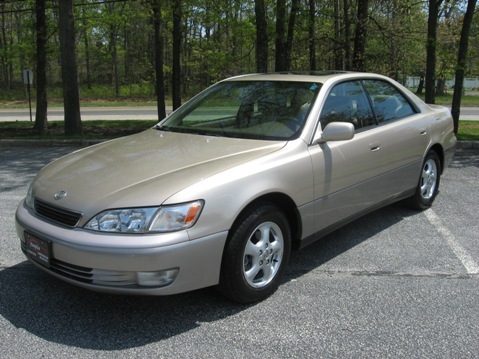 This is a CARFAX CERTIFIED ONE OWNER with a CLEAN & PERFECT TITLE HISTORY! Equipped with a V6 3.2-Liter Engine, Automatic Transmission & RWD. 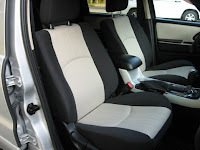 Options include Power Seats with Memory Positioning, Power Moon Roof, Premium Sound System and Alloy Wheels! All the Luxury of a Mercedes Benz for Less than $10k! 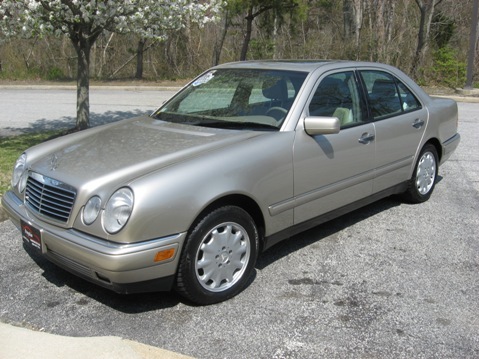 You can drive home in this pre-owned E320 today for ONLY $8,995! 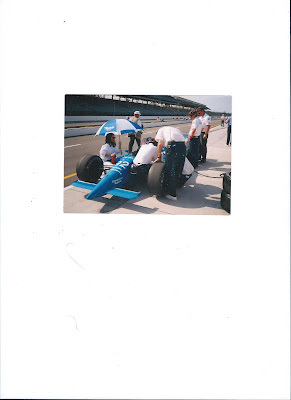 To view additional information and photos of this vehicle, click here or log onto our website at http://www.pumpkincars.com/. Power/HEATED SEATS, Power Moon Roof, Power Windows, Power Locks, Ice Cold Air Conditioning, Cruise Control, Tilt Wheel, Anti-Lock Brakes and Alloy Wheels! Powered by a V6 3.0 Liter engine, Automaitc Transmission and RWD. This pre-owned Gem is priced to sell at ONLY $9,995! Click here to view additional photos of this vehicle! Visit us and test drive any one of these pristine cars today. 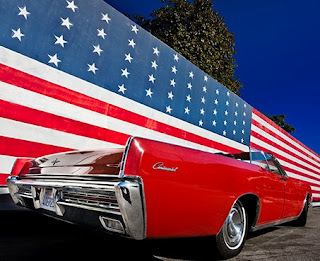 Or shop our entire inventory of pre-owned vehicles priced from $6k - $60k, we've got a bit of it all! CONTACT US at (609) 646-7676 or email us at [email protected] . 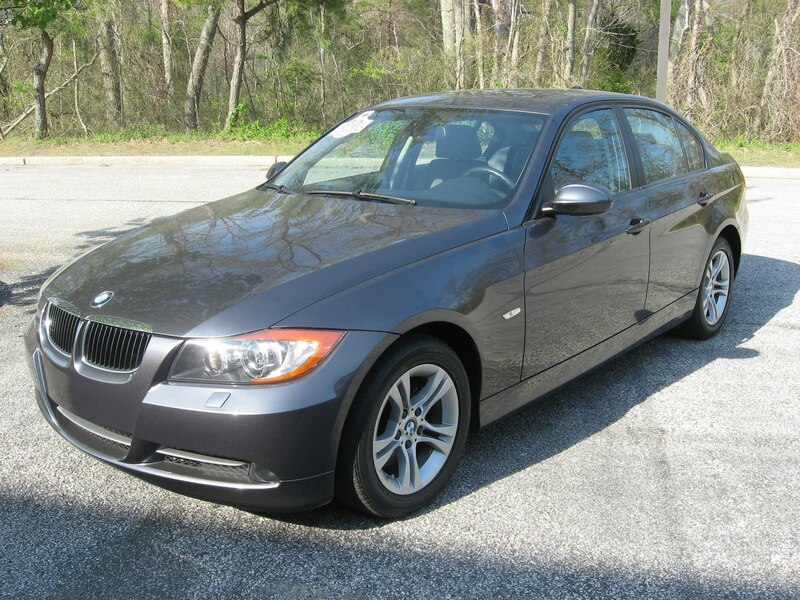 Pumpkin Fine Cars has just gotten in this GORGEOUS, SPORTY 2006 BMW 325i, 4-Door Sedan. With 17 INCH SPORT ALLOY WHEELS and the "M" SPORT STEERING WHEEL, this vehicle runs and feels as nice as it looks! FULLY SERVICED and PUMPKIN CERTIFIED, our vehicles come backed by a limited Powertrain Warranty! We choose only THE BEST VEHICLES AROUND for our inventory and we take the extra care in making them look and feel BRAND NEW! 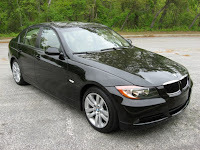 This pre-owned BMW 3-Series is a prime example of that. 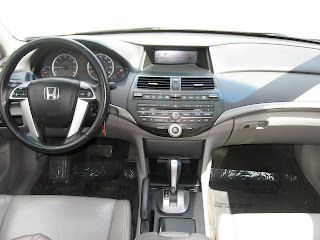 LOADED WITH FEATURES including , MP3/CD PLAYER, SATELLITE RADIO READY, Cold Weather Pckg including HEATED SEATS, VERY NICE COLOR COMBO - Jet Black with Tan Leather Interior, Power Moon Roof and more! 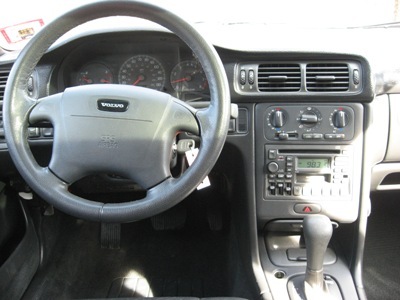 Equipped with a 6 cylinder, 3.0 liter engine and Automatic STEPTRONIC TRANSMISSION. Its a CARFAX CERTIFIED ONE OWNER with a CLEAN & PERFECT TITLE HISTORY! Priced well below book, you can own this vehicle for ONLY $16,995. Visit us and test drive this pristine car today! CONTACT US at (609) 646-7676 or email us at [email protected] for more information. 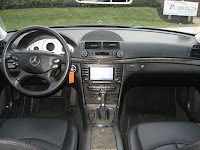 For financing or to view a complete listing of our pre-owned vehicles, log onto our website at http://www.pumpkincars.com/. 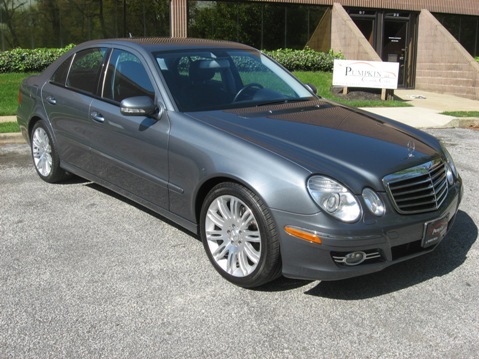 Today, only at Pumpkin Fine Cars we present for your consideration this gorgeous 2003 Mercedes Benz S430 4Matic. 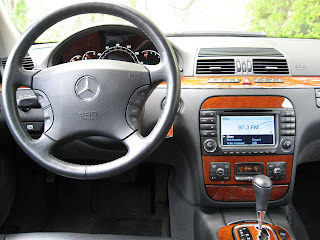 All of our Benz lovers out there should know that 2003 was the first year of the redesigned "face" and headlights, as well as, the larger navigation screen. This design stayed the same until the 2007 model year with the launch of the S550. The Mercedes Benz S class is widely considered to be the top of the line luxury sedan across the board and this S430 is no exception! 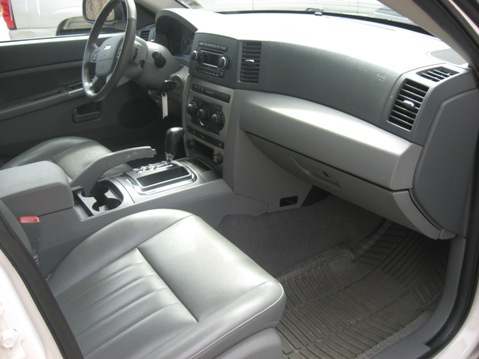 With it's striking Iridium Silver Exterior and plush Black leather interior it exudes sheer class. 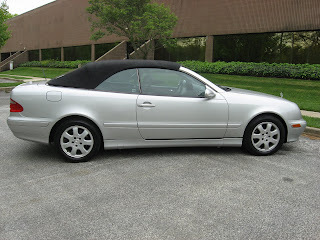 It is a Car Fax Certified One Owner car that was driven only 46k miles since new. Just into our inventory, this car was most likely purchased by the original owner for north of $80k and right now you can own it for just $22,995 which is less than one third of the original sticker price! When it comes to luxury, the Mercedes Benz S430 is second to none with all the best options. This particular S430 is 4Matic (All Wheel Drive), has Xenon Headlights, Navigation, Power and Heated Seats with Memory Position and Lumbar back support, Power Rear Sunshade and a 6 Disc CD Changer. Besides all of the luxury that abounds in this car you will be hard pressed to find a better engineered, more pleasant ride than this. When Franck Freon, who spent 18 years professionally racing very fast, very small cars tells you that hands down this is the best car on the road, that should tell you something what a phenomenal car this is to drive. Swing by the showroom today to check it out, take it for a spin and see what it feels like to be king of the road! 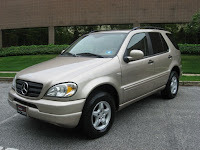 Check out this NEW BODY STYLE 2006 Mercedes Benz ML350, 4-Door SUV. 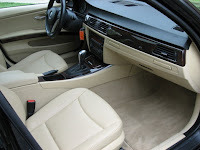 GORGEOUS and VERY UNIQUE Color Combo with a Pewter Metallic on Black Leather Interior with Laurel Wood Trim. FULLY SERVICED & PUMPKIN CERTIFIED, this ML350 RUNS & FEELS LIKE NEW! IMMACULATE CONDITION, Still smells new! You won't find another one in this NEAR PERFECT CONDITION anywhere around! Tons of Luxury Features like Power/HEATED SEATS, Auto-Dim Rear View Mirrors, Power Moon Roof, Premium Sound System with CD Player and Alloy Wheels! 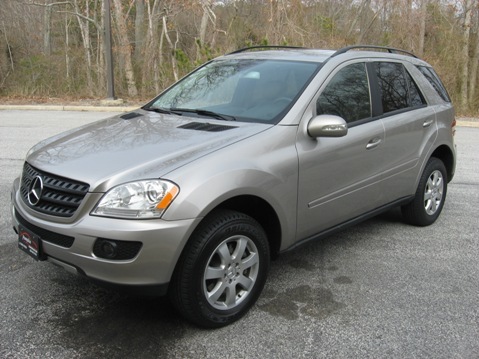 With just over 68k original miles this pre-owned ML350 has a CLEAN & PERFECT CARFAX History and is priced WELL BELOW BOOK VALUE at ONLY $22,995! Powered by an impressive V6, 3.5 liter engine, Automatic transmission and AWD. Visit us and test drive this pristine car today. CONTACT US at (609) 646-7676 or send us an email at [email protected] to schedule an appointment. For more information, find us on the web at http://www.pumpkincars.com/ where you can view more photos and even submit a credit application for financing right online! 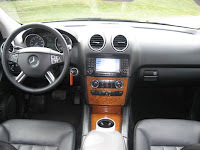 HURRY IN....this Benz WILL NOT LAST LONG!!! We wanted to take a few moments to let all of our great friends and customers know that the final event for the Egg Harbor Township 300th Anniversary will be taking place next weekend. Pumpkin Fine Cars has been a year long sponsor of the Anniversary and has already participated in all of the great events that the Township has scheduled throughout the year. The final event is a "Gift for EHT" where three benches will be dedicated in front of Township Hall to represent the three centuries of EHT's history. The benches surround a table featuring the anniversary logo in granite. Also a time capsule memorializing the anniversary will be placed in the base of the table. The event takes place next Saturday, May 14th at 2pm in front of Township Hall which is located at 3515 Bargaintown Road. A reception will follow the ceremony featuring a photographic montage of memories from all of the tercentennial celebrations. We would like to invite friends and customers of all ages to stop by to cap off the celebration and enjoy the festivities. Visit the EHT 300th Anniversary page on Facebook for more details. JUST IN!!! Pumpkin Fine Cars has a SPORTY, STYLISH 2002 Acura TL 3.2 with just over 61k original miles! LEGENDARY ACURA LUXURY AND RELIABILITY, this preowned TL has a Sharp Silver exterior on Black Leather color combo. Not only has it been FULLY SERVICED and PUMPKIN CERTIFIED but its a CARFAX CERTIFIED ONE OWNER vehicle with a CLEAN & PERFECT TITLE HISTORY! Equipped with a V6, 3.2 liter, Automatic transmission and FWD along with a Shiftable Automatic Transmission. Its priced at ONLY $11,495! 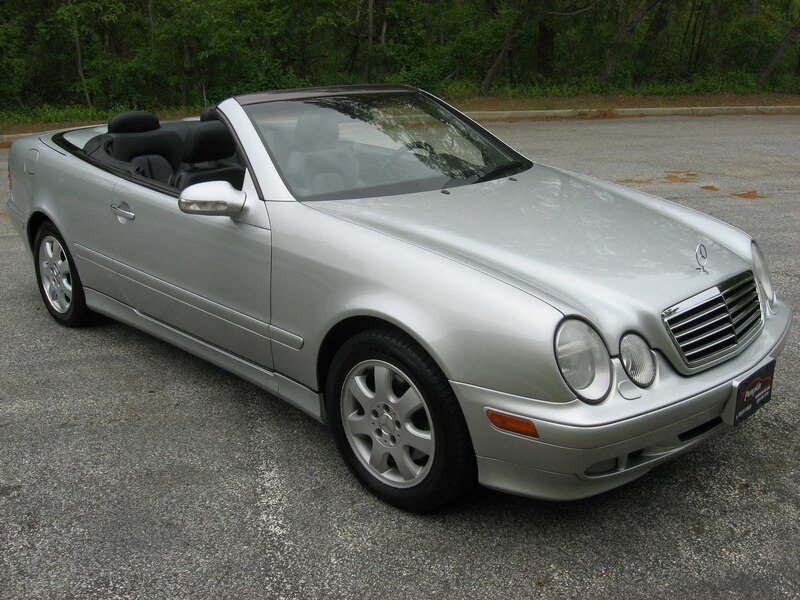 Pumpkin Cars carries only the FINEST PRE-OWNED LUXURY CARS and AT THE BEST PRICES! This vehicle has some GREAT FEATURES including Power/HEATED SEATS with Memory, Heated Mirrors, a Bose Premium Sound System with AM/FM Stereo and an In-Dash 6-Disc CD Changer, Auto-Dim Rear View Mirrors, Remote Start, Alloy Wheels and Much More!! Visit us and test drive this pristine car today. CONTACT US at (609) 646-7676 or send us an email at [email protected] to schedule an appointment. For additional information or to view a complete listing of our pre-owned vehicles, log onto our website at http://www.pumpkincars.com/.